A police raid on an exotic Parisian grocery store confiscated 200 pounds of bushmeat this week, including five frozen porcupines, 15 gazelles, 20 bats and an array of caterpillars - all of which had been illegally imported from Africa. 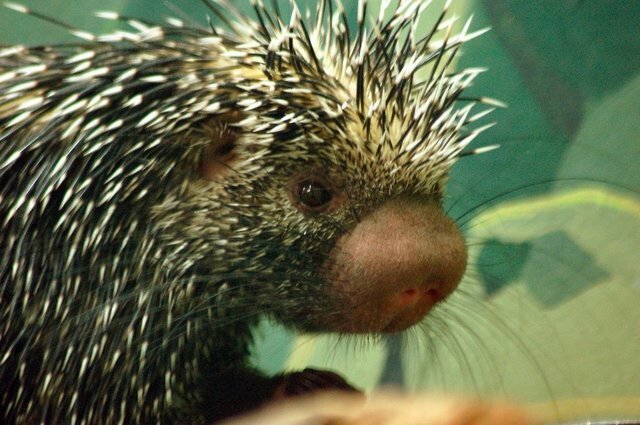 "Without knowing the specific species concerned of porcupine, gazelle or bat it is difficult to say whether or not they would be granted an import licence," Mark Powell of the UK management body of CITES, the Convention on International Trade of Endangered Species, told the Telegraph. "But it is highly possible that they would be from animals on the endangered species list therefore it would be illegal to import or sell them," he told the Telegraph. In France, the possession of illegal animals can earn a maximum three-year prison term and a fine double the value of the objects seized. Paris is a notorious hub of bushmeat exchange -- a 2010 study of airport luggage at Charles de Gaulle airport found over 400 pounds of illegal meat ferried through the airport from Africa after searching just 134 passengers.